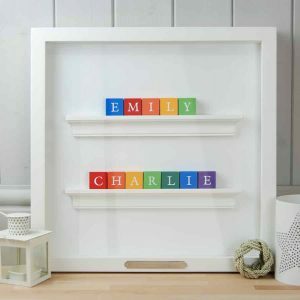 Personalised baby or christening gift for twins, double names or a gift for two. 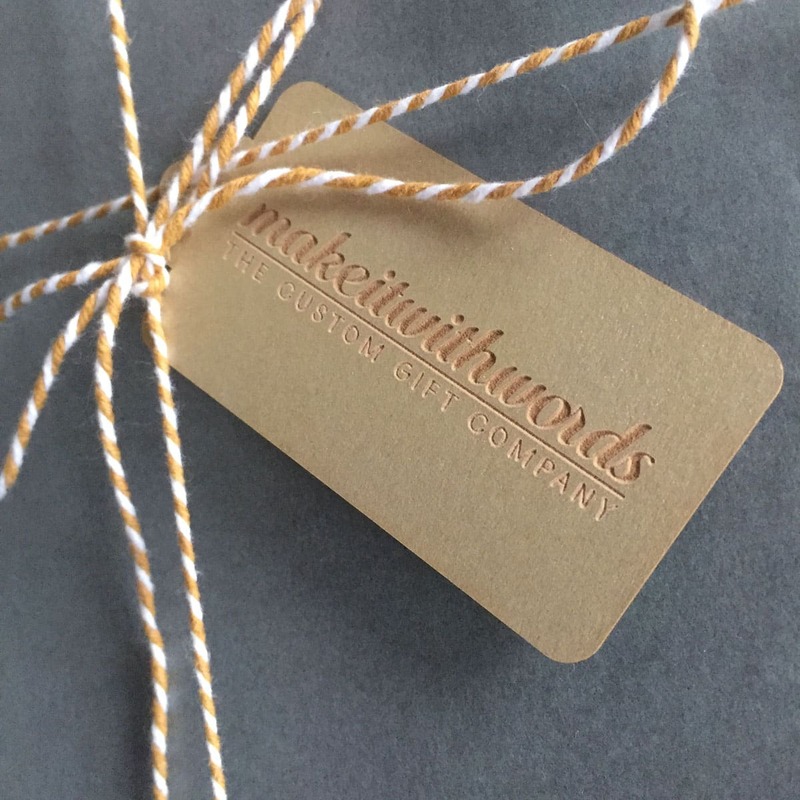 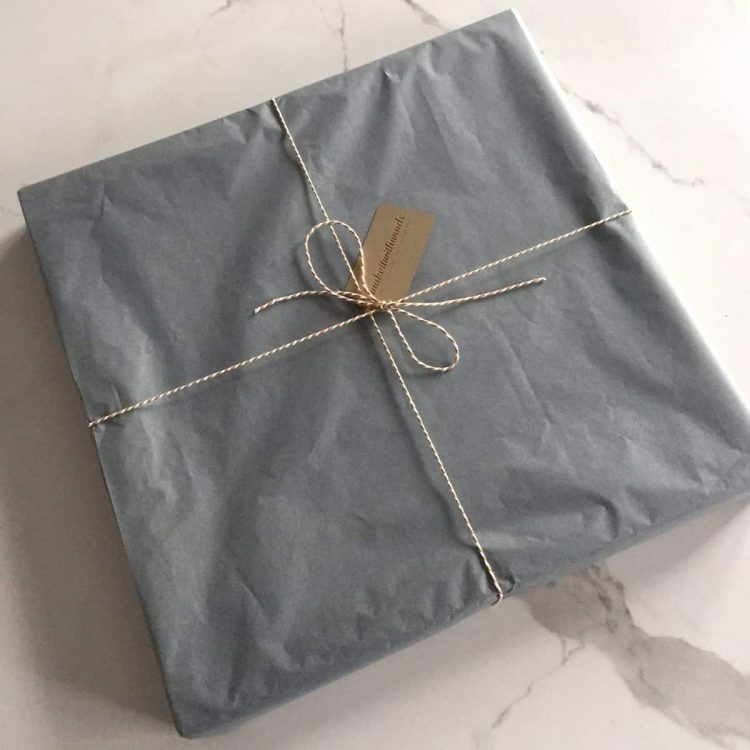 Custom made in our Dublin workshop, this product makes a wonderful personalised baby gift for twin boys, a perfect christening gift for twins, double names or a gift for two. 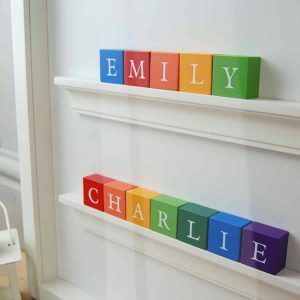 Our miniature wooden Rainbow coloured alphabet blocks are available in Classic or Irish fonts. Optional engraving can be included on a silver engraving plaque which is attached to the bottom of the frame (outside). 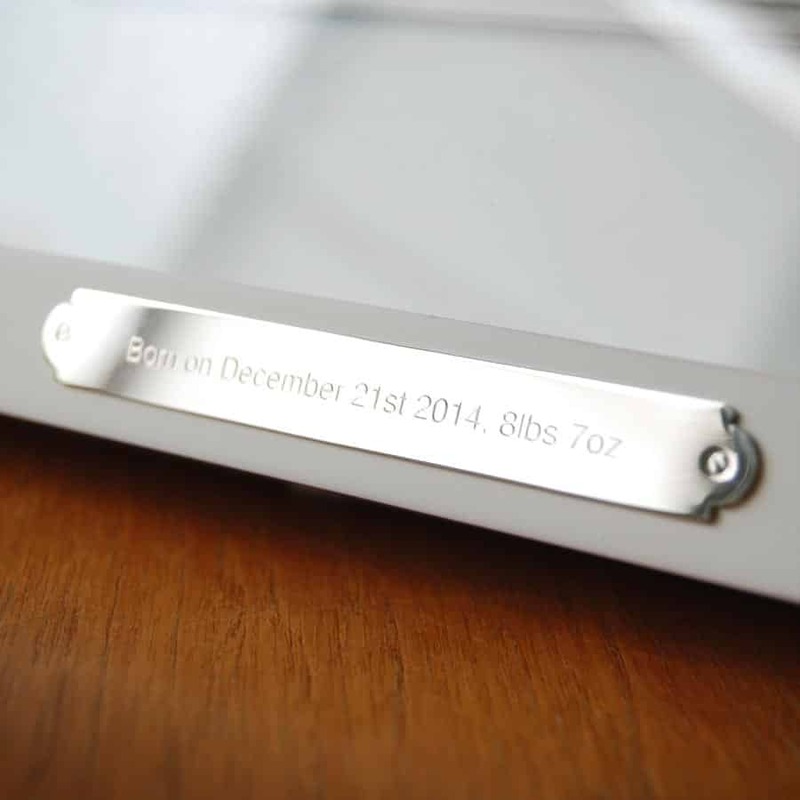 You can include – date of birth, Christening date, meaning of the name or any personal message up to 50 characters max. Comes ready to hang with attached fixings.